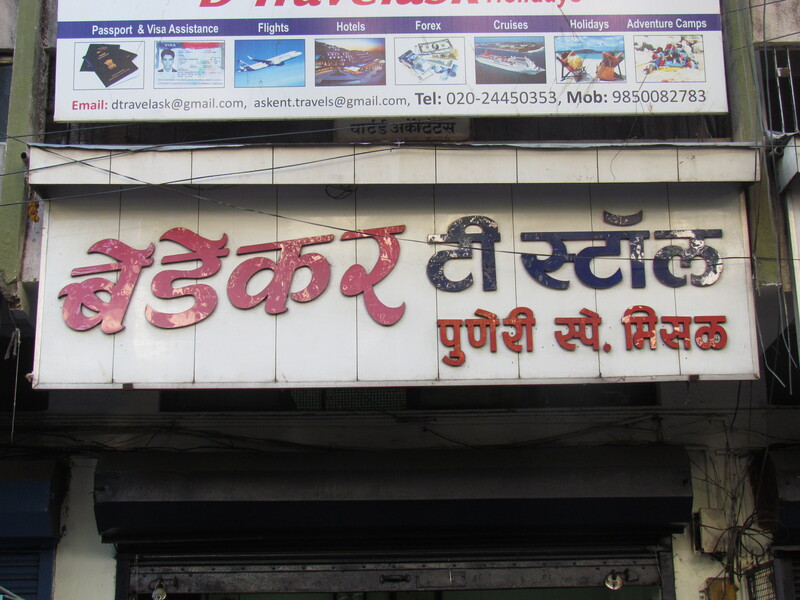 A tiny, quirky, legendary, family run restaurant that serves YUMM maharashtrian vegetarian snacks. 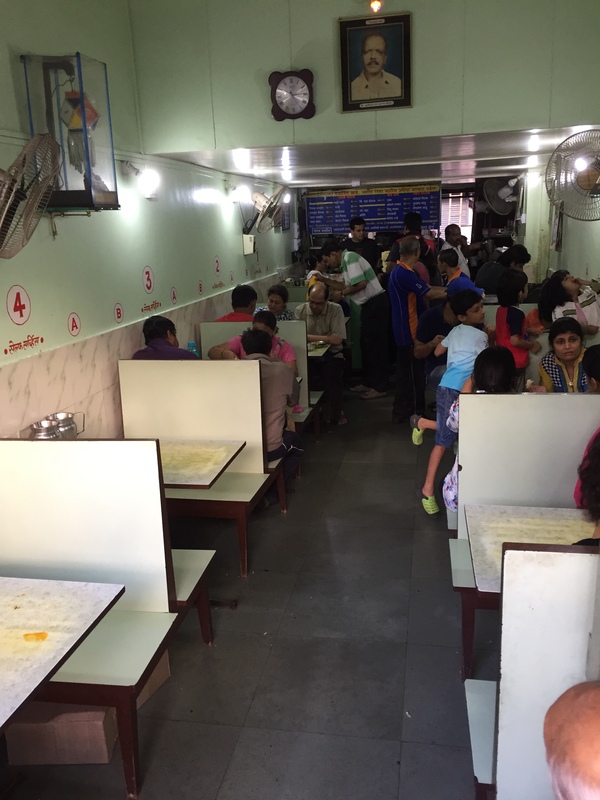 There were separate queues on both sides of the tiny eatery. 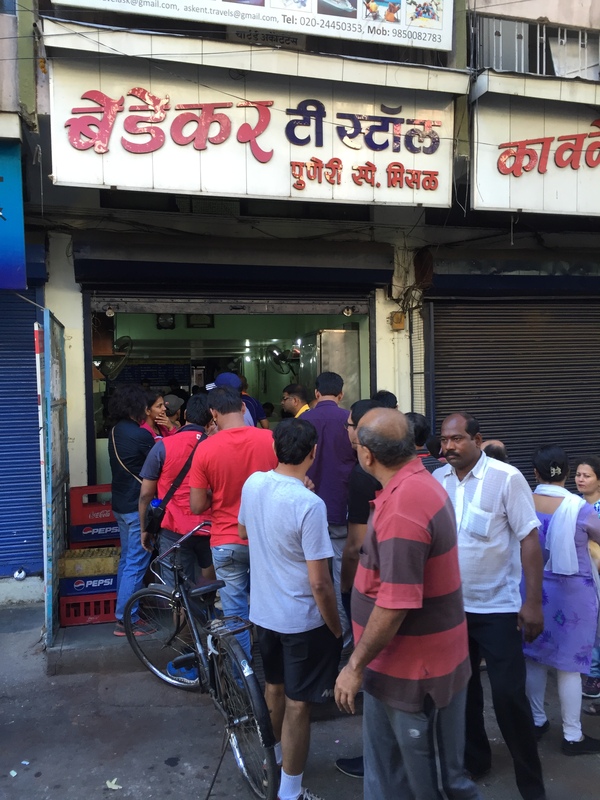 One queue outside shop for sit and eat. Another on the other side for takeaway. 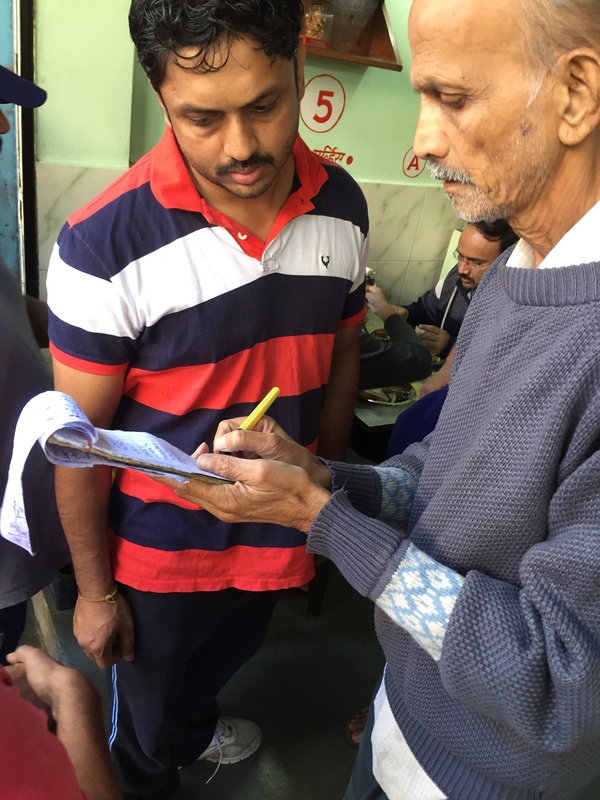 The sit and eat side entrance was manned by an elderly gentleman who was writing everyone’s name and maintaining a wait list. He was calling out everyone as the turn wud come. 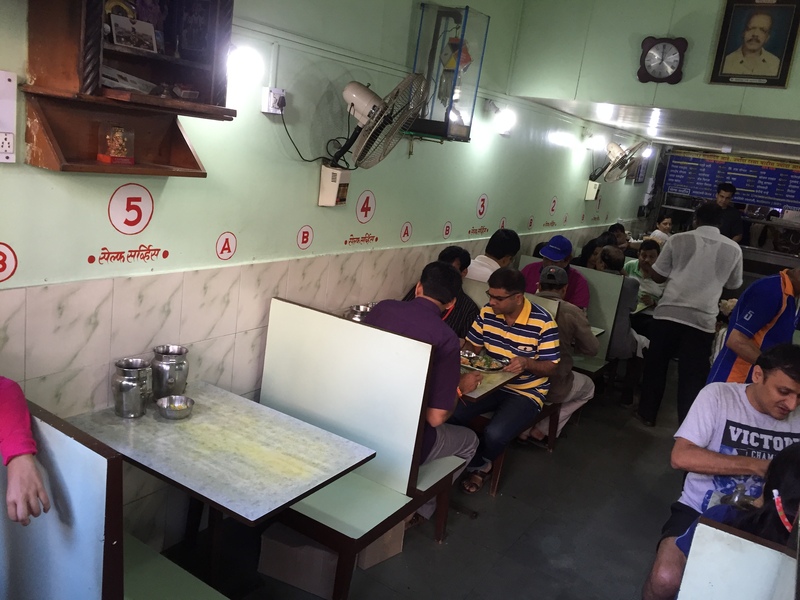 Inside the restaurant was a series of wooden tables on both sides of the aisle and benches to sit around the table. On the walls the table number corresponding to the table is written. 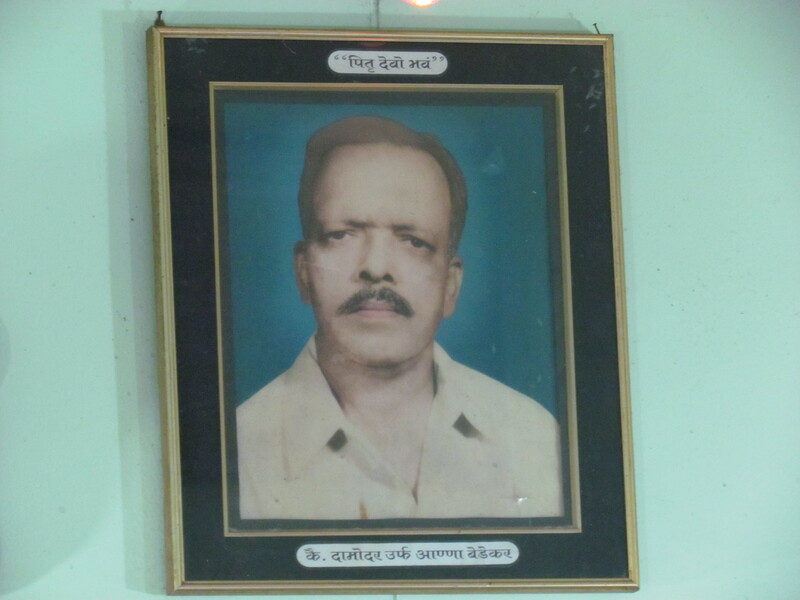 A photograph of the founder was there on the wall. At the end of the hall was a cash counter on one side and a counter in the middle area. While waiting we noticed ‘self service’ written. After asking the regulars we understood that after seat is allocated one has to go to the cash counter and deposit money ₹200 per missal ordered. Then they were given a token against which they cud get the dry missal and bread from the counter. With this, one had to go back to the seat and wait for the gravy to be brought by server. 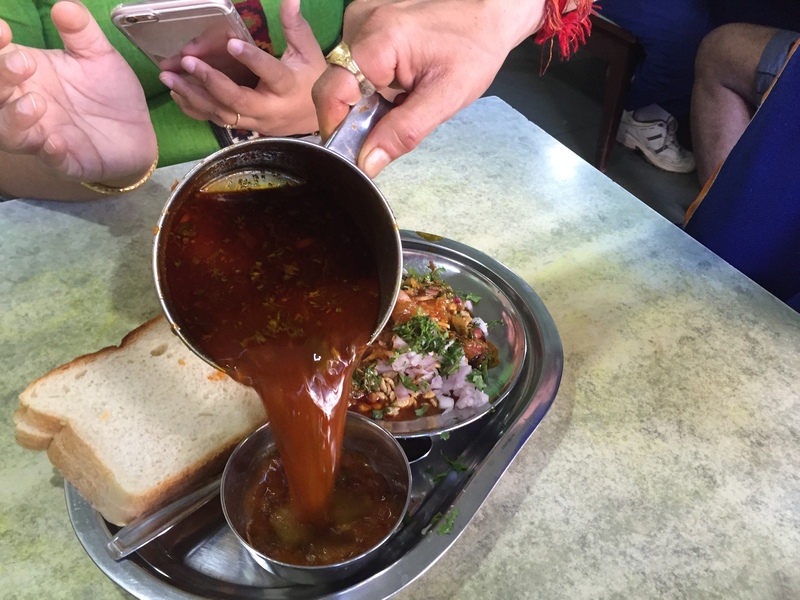 The server comes and pours gravy/rassa on top of missal plate and also fills the empty bowl. He takes the rest of the order for other items and serves them. He also keeps coming back to ask for bread refills. Once the meal is over, customer goes back to the counter and tells his table number. Whatever the has ordered is already written in a book there. So customer is asked to pay the balance beyond the initial deposit. Missal was served dry first. 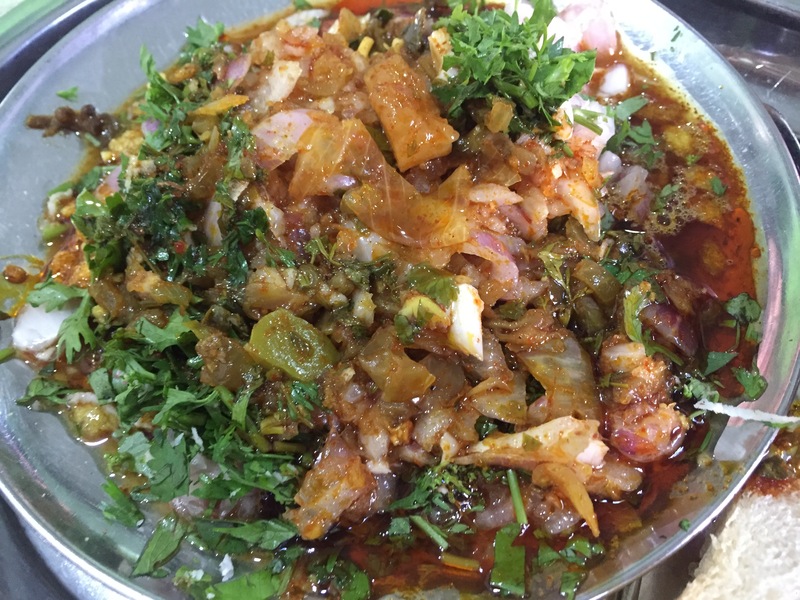 It had onions, chopped coriander leaves, sev / farsaan / namkeen, peanuts, grams etc. The server came and poured the dark red gravy on top. The gravy was hot, was full of spices but the spices were not on the face. The hotness was so much that I started sweating in the forehead. However enjoyed every bit of it and asked for a second helping. 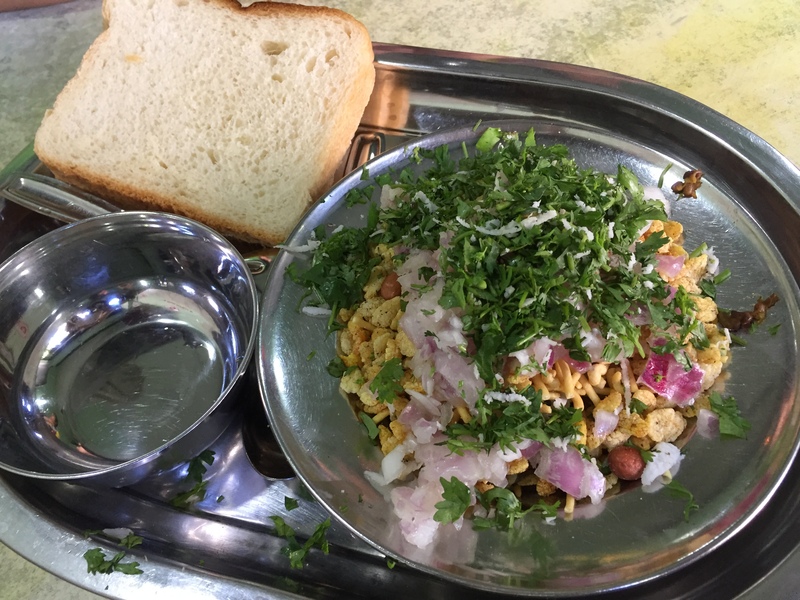 A dish unique to this part of the country, this is eaten with pav (quarter pound bread) or sliced white bread. 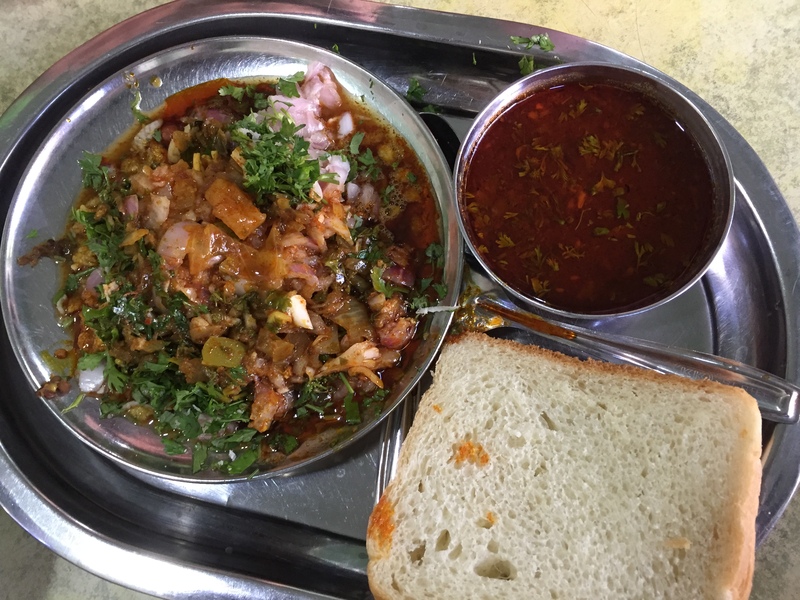 I enjoyed the missal as it is, with the pav and also just the gravy with the pav. Flavours were excellent, taste was awesome. Worth the 40 minutes wait. 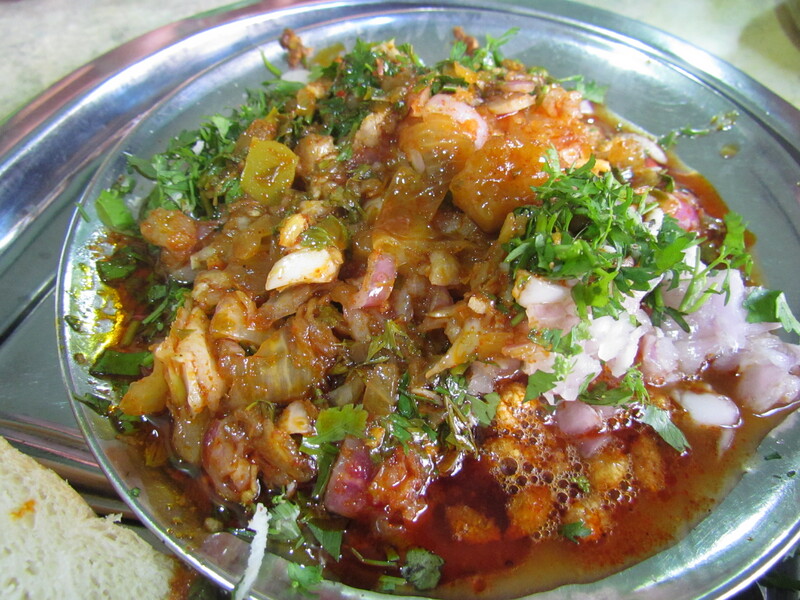 The gravy was made in pooneri style and hence had a tinge of sweetness that I thought added a twist to the taste. 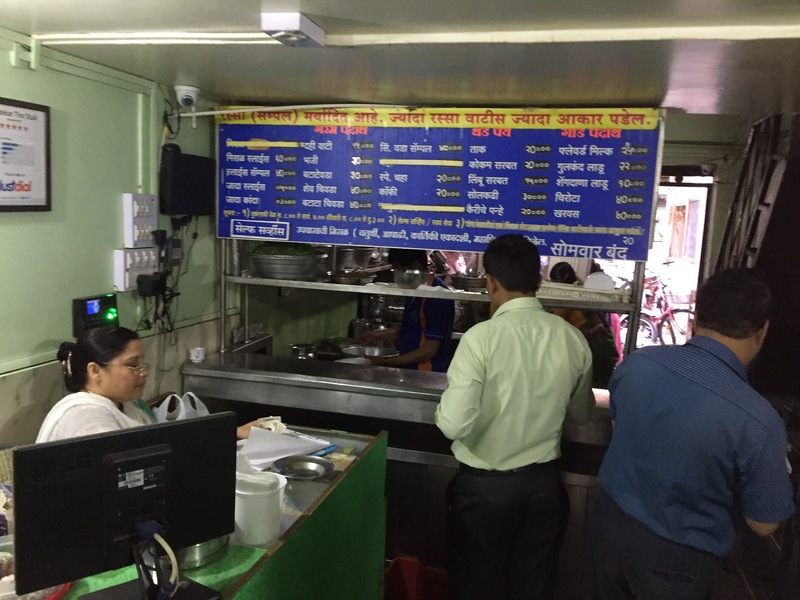 We also wanted to have batata vada and bhaji which unfortunately they had sold out already. 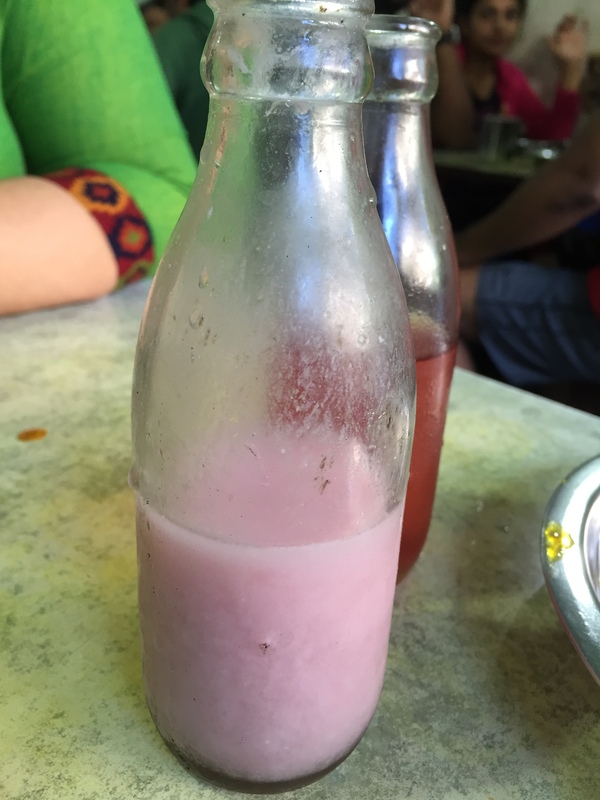 We tried solkadi – coconut milk and kokum (a tart fruit). Loved it. The punch was good. However we have had better. Rate it 4/5. 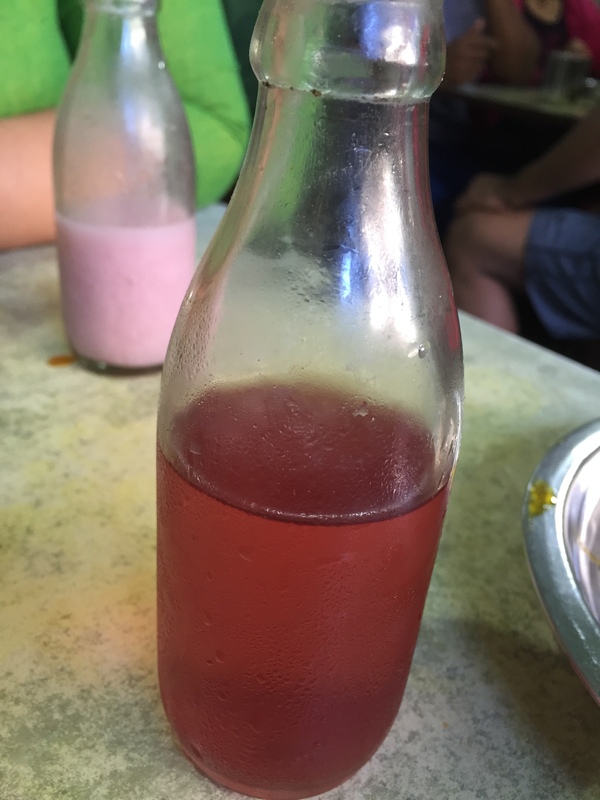 We also tried kokum sharbat- drink made from kokum fruit. It had a good balance of sweet, sour and salt. Enjoyed it and rate it 4.25/5. 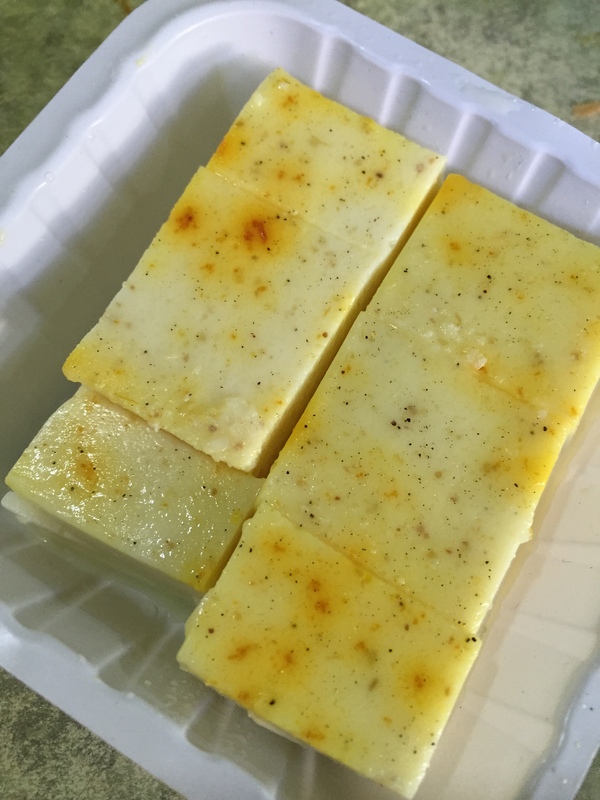 We also had kharvas – I have heard that it is made by mixing ordinary cow milk and colostrum milk (milk produced by cow when the calf is just a few days old). 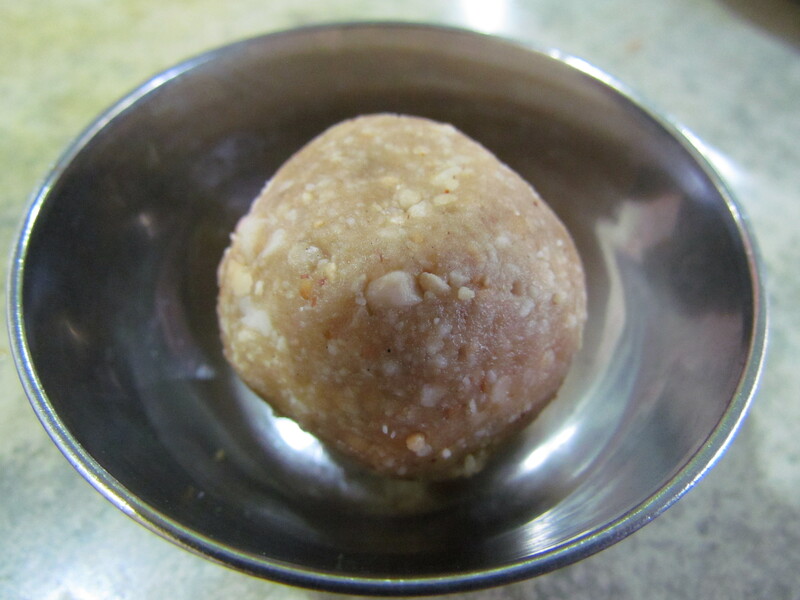 We also tried shengdana (peanut) laddoo. It was excellent. Flavours of peanut made their presence felt. The laddoo was neither too greasy not too sweet and hence very enjoyable. Rate it 4.5/5. 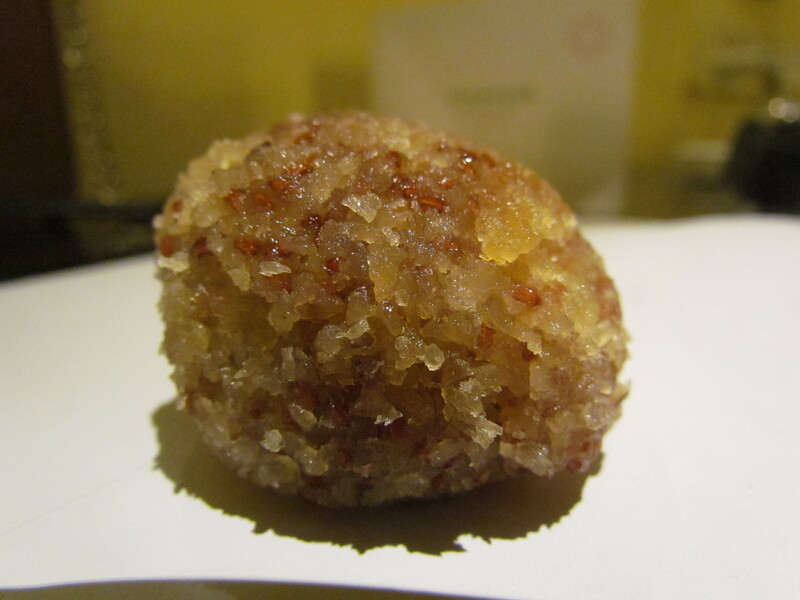 We also had a third laddoo that was made from scraped coconut as a base and it had a good amount of a seed that I forgot the name of. Again very enjoyable. Rate it 4.25/5. We wud look for another opportunity to revisit. 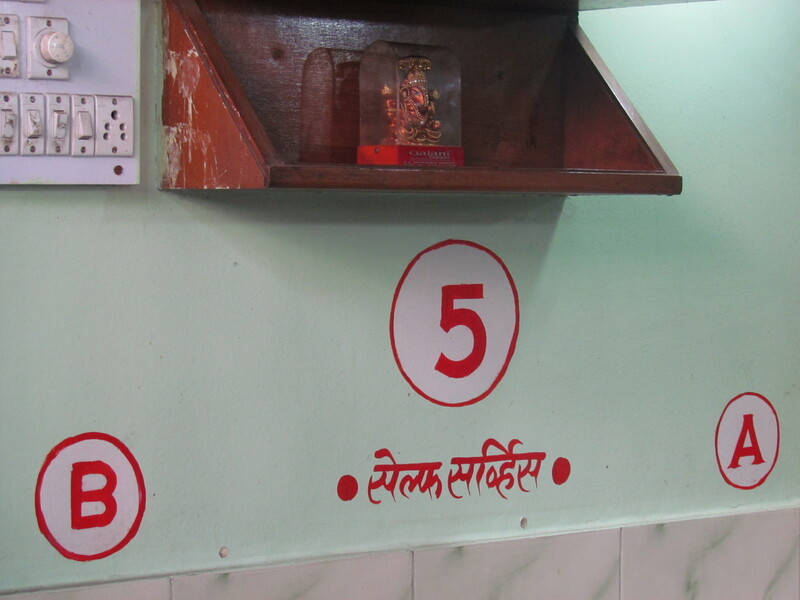 To my untrained eye, the first of the two Shev Chiwda photos seems actually to be that of the Missal. Might be worth a gander. Thanks Asawari. Any particular shop u recommend ? 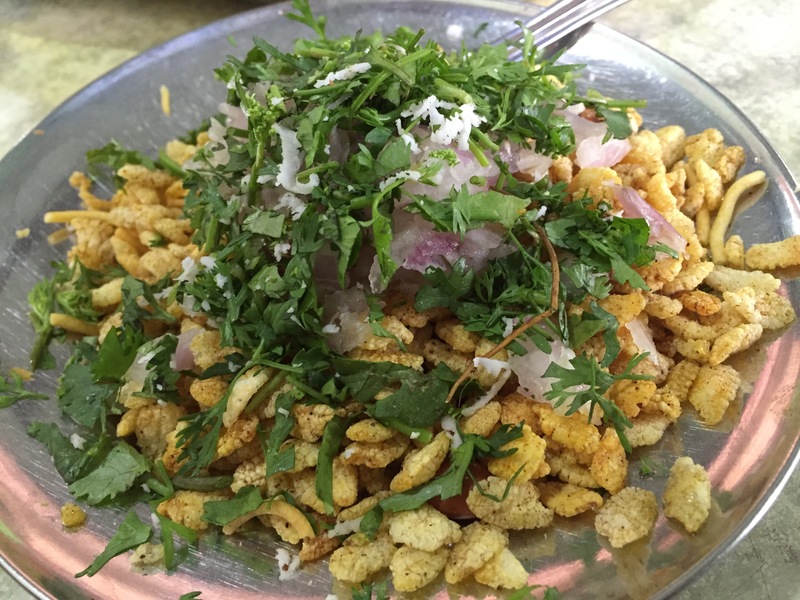 Those laddoos are of garden cress seeds… Called as Aleev in Marathi. Supposedly healthy & nutritious… Preferably eaten in cold climes.